'Radio is a wonderful way to interact and those working in this industry should keep the medium active and vibrant', Prime Minister Narendra Modi said. 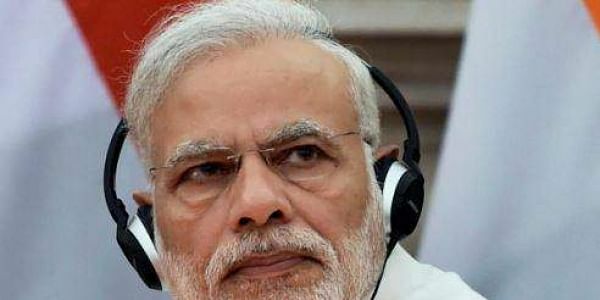 NEW DELHI: Radio is a wonderful way to interact and those working in this industry should keep the medium active and vibrant, Prime Minister Narendra Modi said on the occassion of World Radio Day today. The Prime Minister extended his greetings to all radio lovers and to those working in the industry. "Greetings on World Radio Day. I congratulate all radio lovers and those who work in the radio industry and keep the medium active and vibrant. "Radio is a wonderful way to interact, learn and communicate. My own Mann Ki Baat experience has connected me with people across India," Modi said on Twitter. All episodes of 'Mann Ki Baat', his monthly address on radio, can be heard at -- narendramodi.in/mann-ki-baat, the Prime Minister said.